Another new wedding film by Cupcake Videos popped into my inbox this week. Cupcake Videos are one of our go-to people for wedding films here at Ever After. We’ve just received the film they did for Penny & Pete who got married here on a gorgeous weekend in August 2017. Pete’s family constructed a chuppa outside the wedding barn and we were blessed with beautiful weather for the day, in fact the whole weekend. Penny & Pete made a Bank Holiday weekend of it with activities for guests on the Friday, wedding on the Saturday, a brunch here at Ever After on the Sunday where our ice cream made an unscheduled but welcome appearance and then more partying at the Cornish Arms in Tavistock on Bank Holiday Monday for those still standing! I read some new research yesterday (you can read it here on Brides website) that not having a wedding film is the biggest single regret couples have after their wedding. Wedding films are definitely not the norm yet, most of our couples don’t have a wedding film but I so love it when they do. Wedding films have come a long way since the hour long chronological record of what feels like the entire day. 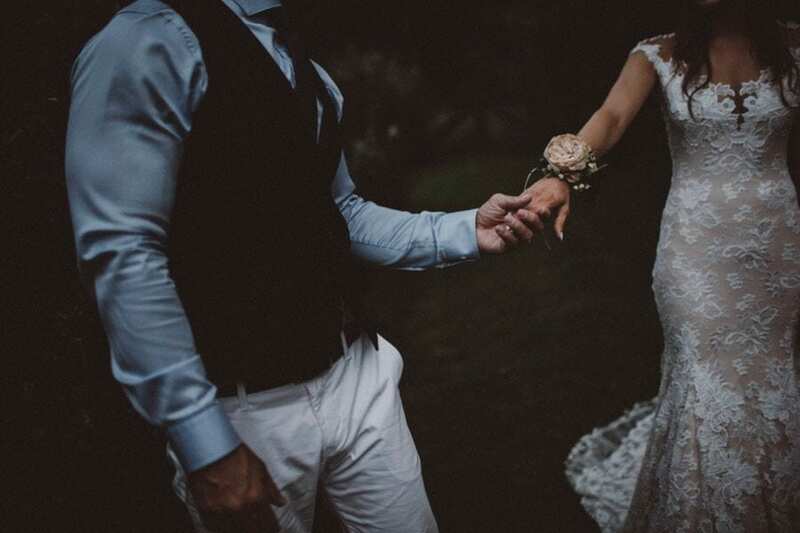 Now you get elegant, romantic highlights, skilfully edited to tell the story of you and your wedding in just a few minutes, capturing all the important details of your day. “We stumbled upon Ever After on Google and were instantly attracted to not only the beauty of the location, but also to Nicola’s obvious eye for detail and design. Tavistock was further West than we originally planned, but once we had visited Ever After we knew that no other wedding venue would compare! We had endless comments from guests on the day about how stunning the grounds were, and we were so happy with our decision to host a BBQ back at the venue the following day so our guests could further explore the beauty of Ever After. We are so happy that we chose Ever After. Beautiful grounds, a river-side walk, an excellent host and hostess – who could ask for more! Aw, we love happy couples! You can see more Ever After wedding films here on our film galleries page. You can more photos from Penny & Pete’s wedding over on their real weddings page. So are you planning to have a wedding film at your wedding?